The chief executive of a prominent science group said they currently have no intention of retracting a study at the center of a controversy involving accusations of scientific malpractice by National Oceani c and Atmospheric Administration (NOAA) scientists. 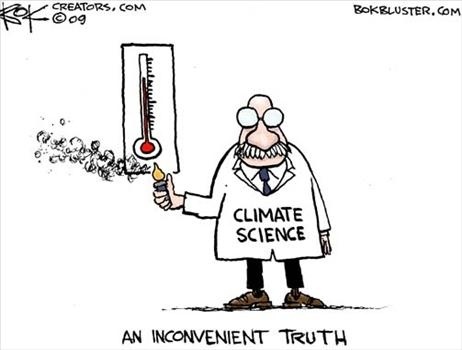 Rush Holt, president of the American Association for the Advancement of Science (AAAS), told lawmakers Tuesday he saw no reason to retract a 2015 NOAA study claiming to have eliminated the global warming “pause” from the temperature record. Dr. John Bates, the former principal scientist at the National Climatic Data Center in Asheville, N.C., went public with complaints that NOAA scientists put a ‘thumb on the scale’ to get results that showed more global warming since 1998. Holt said he sees nothing wrong with the study, and that Bates’ accusations amounted to an “internal” NOAA dispute over archiving practices. NOAA’s 2015 study was published in the journal Science, which is published by AAAS. “There’s nothing to suggest there are problems with that work,” Holt said. Texas Republican Rep. Lamar Smith disagreed. “It may be a lot more serious than you think,” said Smith, who chairs the House Committee on Science, Space and Technology. Smith launched an investigation into Karl’s 2015 study, eventually hearing from other NOAA employees the study may have been rushed to influence policymakers meeting at a United Nations summit later that year. Smith subpoenaed NOAA for emails related to the study, but the agency fought back. NOAA eventually handed over emails, but many were redacted. Smith has used Bates’ public complaints as a launch pad for further inquiry. Bates also said Karl’s study violated the journal Science’s policy on making data publicly available. AAAS, some scientists and environmentalists have come to Karl’s defense, saying his study was peer-reviewed independently verified by other researchers. “It is not profitable to progress science to dwell on one internal dispute,” Holt said, noting that if, say, NOAA’s inspector general found reason for concern, AAAS may consider retraction. Jeremy Berg, editor-in-chief of the journal Science, also stood behind Karl’s study. “Science stands behind its handling of the paper by Karl et al., which underwent particularly rigorous peer review,” Berg said in an emailed statement. A NOAA spokesman said the agency would “review” Bates’ allegations and take appropriate measures. The AGW folks are desperate. Their scam is starting to fall apart. Peer review is becoming a poor joke. It means nothing any more. Isandlwhana cannot show this assertion is true. He made it up. Science deniers are getting desperate. Their scam pseudoscience and conspiracy theories keep falling apart. Their only ‘sources’ are hack tabloids like the Daily Mail and conspiracy blogs. There are no data manipulation claims from honest people. David Rose is a proven liar and has no credibility. Bates himself – as I showed already on this site – refutes David Rose. Then show us facts for debate not refer back to what you claimed to do. During my 40+ year electrical engineering career I and colleagues have frequently been forced to work under management that was either marginally corrupt, scientifically incompetent and/or just mean spirited bullies. I guess that is why so many of us love Scott Adam’s – Dilbert cartoons….. because they reveal something called “TRUTH”! You are fibbing about this cartoon. There is exactly zero evidence that it is true. You are complicit in the dishonesty by spreading it. Oh my golly, Dano thinks that’s cheating! No Dano a light hearted illustration, after the damage done some might feel it would be appropriate to string a few up for deception and falsely covering up the truth. Why is the House “Science” Committee tweeting links to tabloid blogs like The Daily Mail (which even Wikipedia has just banned as an unreliable source with a “reputation for poor fact checking, sensationalism and flat-out fabrication”.) and Breitbart fake alt-right newsrag? Didn’t Lamar Smith ever go to college and learn about citing reputable sources?